The latest Iraqi public opinion poll covered three major topics, the second of which was the security situation in the country. Greenberg Quinlan Rosner Research conducted the poll from August to September 2015 querying 2,000 Iraqis from all parts of the country. The war was by far the most important issue according to the Iraqis questioned. Confidence in the security forces was split along ethnosectarian lines, and most believed that the conflict would last at least another year. When asked what were the most important issues facing the government security was number one. Nearly half of respondents, 48% said that topic was the biggest issue facing Iraq. With the war still raging in central and western Iraq and Mosul and most of Anbar province still under the Islamic State’s control it was no surprise that Iraqis felt that way. Violence has actually been a pressing issue since early 2013 when the insurgency began picking up after its nadir in 2008-2009. However compared to December 2014 security declined 13% in importance due to improvement in the south. 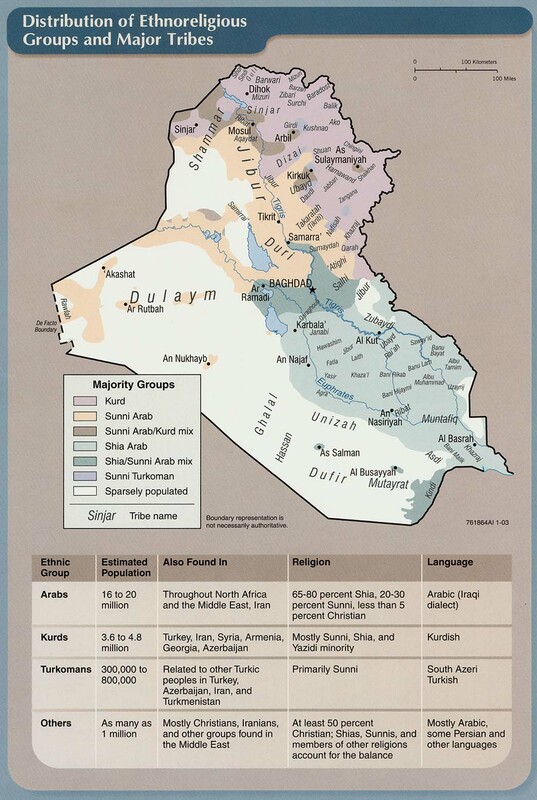 When broken down by region every part of Iraq except the south believed that security was deteriorating. In Baghdad 59% said worse compared to 19% better. In the west 78% said worse, 6% better, and even in Kurdistan 63% responded worse, 31% better. The south was the one exception with 43% feeling security had gotten worse, but 53% felt that it was better. 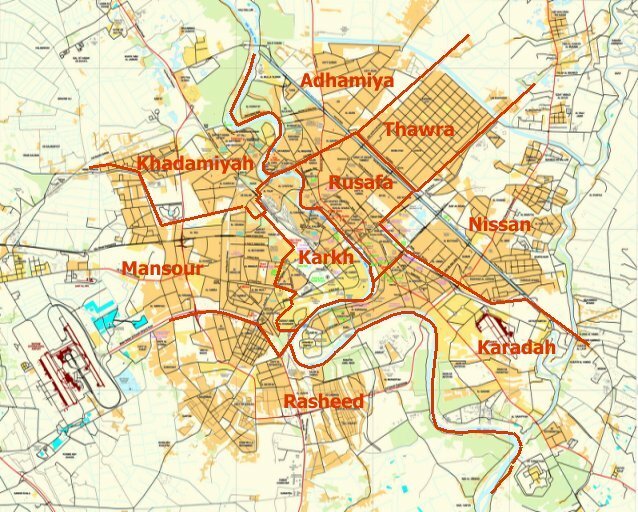 After Mosul fell in June 2014 there was widespread belief that Baghdad would be attacked, which would open the way to the rest of the country. That didn’t happen however and most people in places like Basra, Dhi Qar, Maysan, etc. now feel relatively secure that IS is not able to reach their provinces leading to the responses in the survey. Which 2 issues are the most important for the government to address? How important is security for the government to deal with? Is security getting better or worse? Each major group in Iraq felt differently about the security forces. While 54% said that they trusted the Iraqi army compared to 22% for local forces or 21% both/neither that was skewed by the responses by Shiites. For that group 66% believed that the army protected them, while only 22% of Sunnis did and 12% of Kurds. For Sunnis they were almost evenly split between local forces, 37%, and the army, 34%. Only 8% of Kurds were confident in the army against 64% for local forces meaning the Peshmerga. Another factor was that the three groups saw the composition of the army differently. 60% believed that the army represented all Iraqis against 29% who said it only represented Shiites. Again that was due to 90% of Shiites feeling the army was national in character. The Sunnis and Kurds however thought that the armed forces were Shiite at 58% and 60% respectively. For Sunnis their loyalties were almost evenly split between the armed forces and tribal fighters. They might have had an even better opinion of the army, but it was widely believed that former Prime Minister Nouri al-Maliki purged Sunni officers for loyalists, and then Abadi got rid of Maliki’s men to put in his own. Kurds didn’t look upon the army positively at all given their regions’ history of conflict with the central government. Instead they put their confidence in the Peshmerga. Who do you trust to keep you safe the Iraqi army or local forces? Does the army represent all Iraqis or only Shiites? The Hashd al-Shaabi were seen largely the same way as the army. When asked who did they trust to provide security the army or Hashd the army just inched out the Hashd because of Sunni respondents. Overall, 35% said the army would do the best job, but the Hashd were right there with 31%. Another 25% said both or neither. The army was able to come out ahead because 48% of Sunnis said they would prefer it over the Hashd, 27%. 45% of Shiites on the other hand liked the Hashd more than the army at 30%. Kurds didn’t like either one with 0% saying the army, 1% saying the Hashd and 32% both/neither. Many Sunnis have a negative opinion of the Hashd seeing them as a sectarian Shiite force carrying out mass arrests and destroying property. That opinion is shared by the Kurds as well. The Peshmerga and Hashd have clashed in several areas in Diyala and Salahaddin, and the Kurds believe that the two sides will eventually challenge each other in the future for control of the disputed territories. That leads the Hashd to be seen as a threat. To Shiites the Hashd came to the rescue when Mosul fell and are believed to be protectors of the nation. Who do you trust more to provide security the army or the Hashd al-Shaabi? Even with those divided opinions a majority of Iraqis believed that the Hashd should be used in the fight against the Islamic State. 81% of Iraqis said that the Hashd be utilized in the war. Unsurprisingly 99% of Shiites supported the idea, as well as 50% of Sunnis versus 42% being opposed. Kurds on the other hand felt the opposite with 80% being against, and 6% for. The next question was how important people felt about the Hashd participating in the fight against IS. 81% said it was very to somewhat important. 100% of Shiites felt that way, 52% of Sunnis and only 5% of Kurds. Again, many Kurds were thinking about Iraq after the war and had strong trepidations about the Hashd, and do not want to see its influence grow fighting the Islamic State. Even though many Sunnis believed the Hashd were a Shiite force around half still wanted them to help in the war effort. Do you support or oppose the use of the Hashd in the fight against IS? How important are the Hashd to the fight against IS? Most Iraqis believed that the war would last at least a year. People were given five options on how long they believed it would take beat IS. 22% of Shiites, 4% of Sunnis and 3% of Kurds thought it would take 6 months. 31% of Shiites, 15% of Sunnis and 7% of Kurds picked 6-12 months. Most seemed to believe it would take 1-2 years, which 23% of Shiites, 24% of Sunnis, and 17% of Kurds selected. More Sunnis, 30%, and Kurds, 41% however thought it would take 2 or more years versus just 6% of Shiites. There was also a minority who said the war would never end, 1% of Shiites, 5% of Sunnis, and 14% of Kurds. 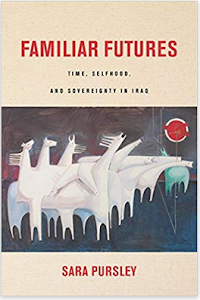 Despite the huge shock of losing Mosul and Tikrit in the summer of 2014 Iraqis seemed to have calmed down and now see the war as something that is finite, meaning that it will eventually end in a few years if not sooner. How long do you think it will take to defeat IS? The Islamic State exacerbated existing fissures within Iraqi society, which were shown in the poll. Respondents for example saw the army and Hashd through an ethnosectarian lense with the Shiites preferring the army and Hashd, against the Sunnis and Kurds who preferred their own forces. There was also a few seeming contradictions. For one, the security situation was seen as getting worse, but most believed that the war would end sooner rather than later. Sunnis and Kurds didn’t like the Hashd but more than half of the former thought they were needed in the fight. What these results show is the complexity of Iraqi society. Things are not as clear cut as they seem. Yes, there are ethnosectarian differences, but they do not always play out as people would think. Both the taking of Ramadi by the Islamic State and its recapture by the Iraqi forces were a long time coming. IS attacked the city for almost a year, while the operation to free it took five months. The aftermath of securing the area, re-establishing governance and services will take even longer. Despite these difficulties the liberation of Ramadi was a huge setback for the militants proving that they lack the resources to hold urban areas in Iraq, and a boost for the Iraqi government that was severely criticized for losing the city in the first place. Both before and after the summer 2014 offensive, which saw the seizure of Mosul and Tikrit, the Islamic State remained focused upon Anbar and its capital Ramadi. The province was one of its major bases, and was the first place it seized territory when the insurgency was reborn. Its Sunni population and its tribes were also seen as an enticing base for the organization to build within. The final push that took Ramadi came in two waves. First, in mid-April IS started a new series of attacks, which led to the seizure of several neighborhoods. 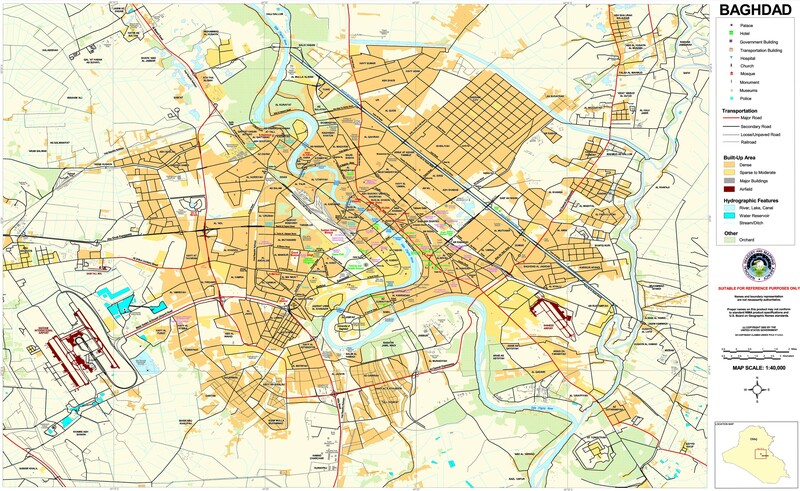 On April 16 a security source told the National Iraqi News Agency that 70% of the city was under IS control. The final assault came in mid-May. IS sent in reinforcements from Mosul and Salahaddin, and began with men dressed in military uniforms and driving Humvees to infiltrate the defenses, and then unleashed thirty suicide car bombs against the government complex in the downtown. The Iraqi Security Forces and allied tribes quickly crumbled, IS took the city, and immediately began executing people. This was a huge victory for IS. 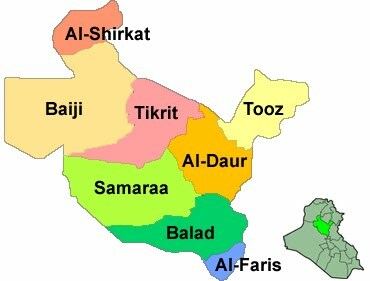 It solidified the group’s control over more than half of the governorate topped off by capturing the provincial capital. It also caused dissent amongst local tribes and undermined the government’s attempt to create a new Sahwa in Anbar. Ramadi was the birthplace of the Awakening and its loss was a sign that Baghdad could not protect its allies there. 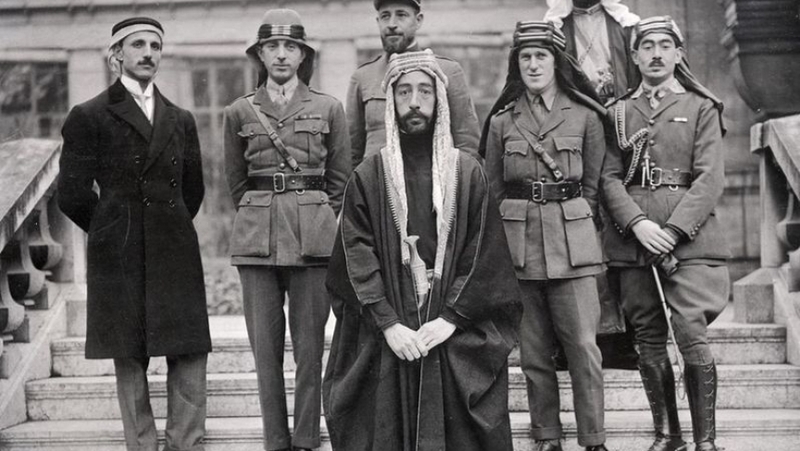 For example, several sheikhs accused the government of betraying them during the battle as they felt abandoned when the ISF pulled out of the city. Anbar’s tribes would only back the side that would stand by them to assure their self-preservation, and after Ramadi the government did not look like it could play that role. There were also repercussions for Prime Minister Haider Abadi. First, he was talking about freeing all of Anbar after Tikrit was taken in March. Then Ramadi fell and his strategy looked like a failure. Second, even before Ramadi was lost the premier was coming under increasing pressure from Nouri al-Maliki and pro-Iranian Hashd groups such as Badr and Asaib Ahl Al-Haq (AAH). They complained they were being kept out of the Ramadi fight, and being constrained in Anbar overall even though they were already operating in places like Garma. Even though Abadi is commander and chief and the Hashd are supposed to be under his command Badr’s Hadi Ameri said they would fight in Anbar no matter what the premier said. Third, the Anbar provincial council undercut Abadi as well authorizing the Hashd to deploy to the governorate since it was shell shocked after the fall of Ramadi. Finally, members of the prime minister’s own Dawa Party and State of Law (SOL) list came out against him. One SOL parliamentarian said that IS’s victory in Ramadi proved that the United States was helping the insurgents, and that Iraq should turn towards Iran instead. A Dawa official claimed elements of the security forces and the tribes the Abadi was arming were working with IS. Abadi had been riding high just a few months beforehand when Iraqi forces retook Tikrit the first major city to be liberated from IS. Then he lost all of that prestige with Ramadi. Not only that it allowed his rivals like Maliki and Ameri to attack his governance, and his alliance with the Americans as everything was blamed on the two. That split continued as plans were made to retake the city. The divide between Abadi and the pro-Iranian Hashd continued when the offensive to retake Ramadi began. Immediately after the city was taken the prime minister said there would be a swift response to liberate it. Ameri contradicted him by saying he had his own plan for Anbar, and that did not include going after Ramadi right away. Ameri’s strategy was quickly revealed to not include the city at all, but going for Fallujah instead. That meant the day the Ramadi offensive began the Hashd started their own one in Fallujah. Hashd leaders like Ameri were directly challenging Abadi’s leadership of not only security in Anbar, but the entire country. Ameri and others had already been calling for them to take over command of operations instead of the security forces. Now the fall of Ramadi gave them the opportunity to claim the premier had failed, and now they were going to bring victory to the province. Not only that, it split the forces that could have been arrayed against Ramadi. That hurt because the lack of manpower has been an on going dilemma for the Iraqi forces as they have not been able to hold many of the towns and suburbs that they cleared. In turn, the Hashd did not have the fighters to be successful in Fallujah either causing problems in both cities. On the other hand, the United States stepped up its support to make sure that Ramadi would be retaken. U.S. advisers in Anbar helped plan the operation. The Americans trained the army units fighting for the city, and a new force of tribal fighters. Washington also wanted to keep the Hashd out of Ramadi to make sure that it was an Iraqi Security Forces’ (ISF) victory. That eventually happened as Hashd units left bases where U.S. advisers were working, and then a mass exodus occurred by October under pressure from Baghdad. An Iraq Oil Report article claimed there was an agreement between the Abadi government, the U.S. and the Hashd to withdraw from the operation. The Americans got their tribal fighters into the Hashd so that they could get paid. Finally, the U.S. fired artillery from bases they were stationed at and carried out air strikes to support the ISF’s advances. The Americans were determined that Ramadi would be liberated. They also wanted to make sure that it would help PM Abadi after all of the criticism he received for losing the city. That meant building up ISF and Sunni Hashd units to capture Ramadi, and pushing the Shiite Hashd out that were trying to undermine the premier. While much of this happened behind the scenes by the end of the battle the Iraqi papers were full of stories of U.S. special forces and helicopters taking part. It’s not clear how much the Americans were involved in end, but their influence was apparent to all especially to the pro-Iran Hashd who were opposed to their presence and assistance. The final attack on Ramadi started on December 22. The elite Golden Division led the operation crossing a bridge that was construction by the ISF to cross the Warar canal into the center of the city. Iraqi police units came from a different direction. Five days later the Khalidiya Council said that IS was withdrawing to the east taking civilians with them as civilian shields. 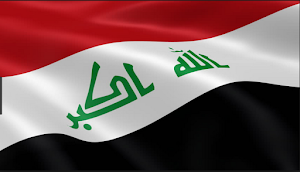 Then the next day the ISF declared victory and hoisted the Iraqi flag over the government center that was taken by the Islamic State seven months earlier. This was a huge accomplishment for the ISF, which had been humiliated back in May. Not only was it able to liberate the city, the ISF did it largely on their own with Shiite Hashd units mostly on the periphery. This helped PM Abadi as well because he could say his forces and leadership were the right way to take in the fight against IS unlike the pro-Iranian groups who quickly got bogged down in Fallujah, and worked against the Ramadi campaign from the start. Most importantly it exposed the Islamic State. The group can put up a grinding defense, but it lacks the fighters to hold any city against a large and determined government force. At the same time, reaching the middle of a city is only the start of the larger battle to rid Iraq of the insurgency. The taking of the downtown was not the end of the struggle for Ramadi or against the Islamic State. There are still IS elements in many of the surrounding suburbs and towns and it has re-infiltrated into others. A member of the Anbar council said that there were insurgents in 25% of the city and in the outlaying region that would have to be dealt with. It will take a lot to permanently clear out these fighters, something the ISF has always struggled with. The government is trying to create a new police force to carry out these duties, but the numbers that have appeared in the press are nowhere close to what is required. There are also fears that tribes will want to exact revenge upon those who worked with IS. For example, there was a story that claimed that tribes had lists of collaborators. Carrying out vendettas will not help bring stability to the city or prove that the government is back in control. Last, 80% of the city is reportedly destroyed, and a member of the Anbar Council believed that it would take 10 years worth of budgets to rebuild it. None of these issues are easy to tackle. Fighting will continue in the city and its environs and could quickly deteriorate to what it was like right before the city fell with neighborhoods under IS control. The tribal vengeance can only be deterred if the government is strong, but it may not have the forces or judicial capacity to fully deal with the situation. Finally, real stability can not return to Ramadi until it is reconstructed, services are restored and the authorities have real power over the entire area. These are the challenges that lie ahead and could very well be replayed in future military operations in places like Fallujah and Mosul. If the government can’t get Ramadi right it may not be up to the task of providing real security to other cities after they are freed of IS in the future. The victory in the city therefore, brings both promise and peril that will play out in the coming months. The third week of December 2015 saw continued pushes by the government’s forces in Anbar and Salahaddin, and a new wave of attacks by the Islamic State in northern Iraq. The most successful of the former was in Ramadi where the joint forces were making their way towards downtown. The Fallujah operation led by the Hashd restarted after a 2 month hiatus. IS on the other hand went from probing actions against the Kurds to large scale attacks against them in Ninewa and Kirkuk. Despite that the momentum continued to be against the insurgents. From December 15-21 there were 140 reported security incidents. 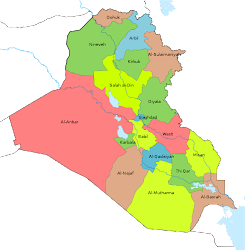 There were 62 in Baghdad, 26 in Ninewa, 15 in Anbar and Salahaddin each, 7 in Diyala and 7 in Kirkuk, along with 6 in Babil and 2 in Basra. The 140 was up from 128 the second week of the month, and 118 the week before that, but not different from other weeks in recent months. Those attacks led to 242 dead and 326 wounded. There were 20 Sahwa, 23 Peshmerga, 25 members of the Iraqi Security Forces (ISF), 33 Hashd, and 145 civilians killed, and 2 Sahwa, 11 Peshmerga, 23 Hashd, 34 ISF, and 178 injured. By province there were 74 fatalities in Anbar, 64 in Ninewa, 62 in Baghdad, 20 in Salahaddin, 17 in Kirkuk, 8 in Babil and 1 in Diyala. Ramadi was where the heaviest fighting in the country was taking place. From December 15-21 the government’s forces were trying to consolidate their control over the perimeter of the city. There were operations in the Palestine Bridge, Albu Faraj, and Albu Diab all north of the city. These areas have changed hands several times and remain contested. IS was fighting back in those areas with over a dozen car bombs. After two months of being dormant the Fallujah offensive restarted. The joint forces said they cleared Maamer to the south of the city even though fighting continued there afterward, and attacked Niamiya for the third time since July. The pro-Iranian Hashd groups started the Fallujah operation unilaterally despite Prime Minister Haider Abadi saying that Ramadi was going to be the focus after it fell to IS in May. It was attacked in July the same time as Ramadi and after some initial success quickly got bogged down in the surrounding towns before being shut down in October. The operation was supposed to show what the Hashd could do on its own without U.S. support and was an open challenge to Abadi’s leadership. It has not worked out as planned. In recent weeks the Islamic State has increased its terrorist attacks in Baghdad to make up for its lack of offensive operations in the rest of the country. During the third week of December there were 62 incidents in the capital province, the most since the first week of May. The eastern section of the province had 19 incidents, followed by 17 in the south, 12 in the north, 8 in the west, and 6 in the center. In the east, there is always a mix of culprits. There were two sticky bombs that were probably the work of IS, but several bodies dumped in the district were probably done by vigilantes or Hashd groups. There was also a robbery by men in military uniforms showing the growing lawlessness in the country. That could have been common criminals or rogue elements of the ISF or Hashd. In the previous weeks the south had the most incidents. There IS has been more active with mortar fire on Arab Jabour, and sniper fire on a checkpoint in Dora. There was renewed activity in Abu Ghraib in the west as well with mortars on an army base, an IED on an army convoy, and a motorcycle bomb targeting a market. IS has attacked Baghdad for years hoping to stoke sectarian tensions and undermine the government. 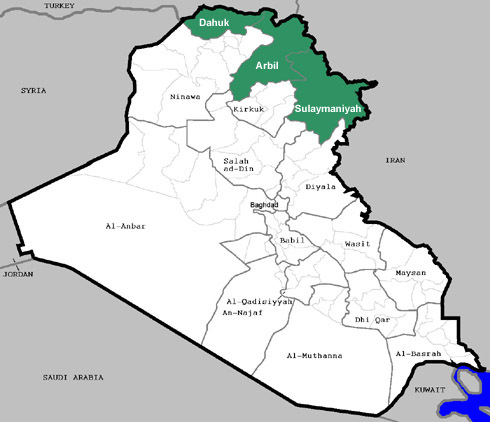 Diyala has been relatively quite lately. In September and October IS was setting off car bombs there nearly every week and there was a slew of mortar fire as well. That eventually ended, but the third week there were two days of mortars again. Kirkuk has been one of the more secure provinces in central Iraq, but that ended recently. Starting on December 17 IS attacked Turkmen Hashd in Bashir. The next day it attacked the Peshmerga in two towns in Dibis and Hawija leaving 12 dead and wounded. IS also began attacking the Kurds in Ninewa. December 16 seven towns were assaulted with 14 car bombs, 4 suicide bombers and mortars killing 12 Peshmerga including a general and 6 Yazidi fighters. The next day three more towns were attacked. December 18 13 Peshmerga died and 4 were injured in fighting in another town. December 19 two suicide bombers were used in an assault leaving 28 dead and 4 wounded Peshmerga, and then finally on December 20 the 13th town was targeted leaving 11 dead Peshmerga and 9 wounded. During the last winter IS attempted similar operations using the foggy conditions to sneak up to the frontlines and hoping that it would hide their movements from Coalition air strikes. Despite the heavy fighting the Kurds held their positions. During the 2014-15 winter IS launched a similar offensive in the north. It appears they are doing the same thing now. The Peshmerga were not the only ones in Ninewa targeted during the week, the Bashiqa camp, which housed Turkish soldiers was hit for two days. On December 16 IS launched a huge rocket barrage on the base killing seven volunteers, and wounding four Turkish trainers and eleven volunteers. Two day later it was hit again injuring three more volunteers. The camp had recently caused a huge controversy between Baghdad and Ankara when the latter sent in a large military force without informing the Iraqi government. IS tried to exploit that publicity by firing on the base. Ironically elements of the Hashd claimed they were the ones that attacked the camp since they had led the protests against the Turkish presence there. On December 21 a U.S. air strike was blamed for killing 16 civilians and wounding 5 more in Mosul. The Americans were allegedly targeting a building used by IS leaders. The U.S. has been increasing its attacks in Iraq lately, so it was probably inevitable that something like this would happen. IS executed 38 people in the Mosul area and Tal Afar. That included two Peshmerga, three families, five traders, and one imam. They also pushed 12 people off a tall building on December 19. Some have speculated that these murders are occurring because IS feels threatened by an eventual Mosul operation. It appears that this is actually part of their governance and punishments to enforce their control over the population and how they are following their Salafi beliefs. Salahaddin had its usual mix of harassing attacks up and down the length of the province. Tarmiya and Taji are constantly hit by IEDs and shootings. IS fired rockets at Samarra on December 19. The militants also made probing attacks upon Alam just to the south of Tikrit, and there was continued clashes to the west of Samarra. The government are still fighting in the Makhoul Mountains to the northeast of Baiji, and clearing operation are on going in that district as well. This is significant as before the ISF and Hashd were only capable of carrying out one major operation at a time due to logistics and transportation problems. They are now fighting in both Ramadi and the greater Baiji area. Finally, November was the last month of the IS car bomb campaign. Before December there were over 50 vehicle borne improvised explosive devices (VBIEDs) per month. In the 1st week of December there were just 36, 37 the next week, and 49 the third. Another sign that the offensive was over was the fact that all the VBIEDs were in Anbar, 29, Ninewa, 15, and Salahaddin, 6, and used in military operations. Previously a number of governorates were hit in both military and terrorist attacks. The shift to the former accounts for the relatively low casualties these bombings caused during the week, 12 dead and 17 wounded. If those had gone off in civilian areas they would have left behind far more carnage. Another change is that despite the fewer VBIEDs being used, far more are hitting their target then before. From December 8-14 11 out of 26 found their targets, and then 12 out of 37 the next week. In previous months only 18% of the car bombs were successful.